Agile differs from the traditional ADDIE model, a more rigid end-to-end process where client needs are defined at the beginning before development and production takes place, resulting in a single version of the product released at the end. In contrast, Agile focuses on adaptation, evolving development, rapid prototyping, and constant feedback and evaluation. 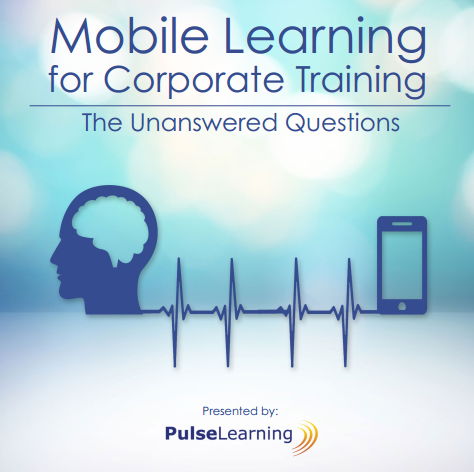 Move over, ADDIE; PulseLearning presents 6 valuable benefits of Agile eLearning development. As I’m sure you’ll know, when it comes to corporate projects, nothing is “set in stone.” During an eLearning production lifecycle, content additions can be requested, processes can change, or new stakeholders wielding subjective opinions can join the mix. Developers need to be able to accommodate variances with ease and professionalism, and Agile allows them to do just that due its ability to accept and respond to change through frequent iterations. In an Agile eLearning development process, frequent iterations of the product are released. On release of each incremental iteration, a Client can provide feedback to be incorporated into the design along the production journey, rather than holding input until set review points. In most cases, internal eLearning projects require building something unique for an organization to assist in meeting business needs. Because there is usually not an existing template, there are inherent challenges in successfully interpreting the client vision and infusing it into the completed product. With Agile, Client involvement is an integral part of the process, making it much more likely to deliver a product that exceeds client expectations. Agile can support fluid, rapid development whereby a developer can make product updates live onsite with the client, greatly reducing time for lengthy review and feedback cycles. Because the product is developed incrementally, both the Client and developer can focus on a smaller spectrum of details, making sure these are right before moving on. In an ADDIE process, testing is usually left until the full version of the product is released, making it a lot more difficult to rectify issues. Alternatively, testing is a key component of the Agile process, built into each incremental iteration. Because testing is done along the way, by the time the full product is released, functionality is usually tight and there are significantly fewer issues. Agile eLearning development is a collaborative process conducted through consultative sessions with key stakeholders, including project managers, subject matter experts, project sponsors, and developers. The increase in communication Agile promotes leads to fewer misunderstandings and greater team cohesion. Because it greatly increases communication with the Client, Agile is also a great approach for bringing Clients back on board if they have previously experienced issues with fixed development processes. Below is an example of an Agile process PulseLearning implements and customizes to suit Client and project-specific requirements.